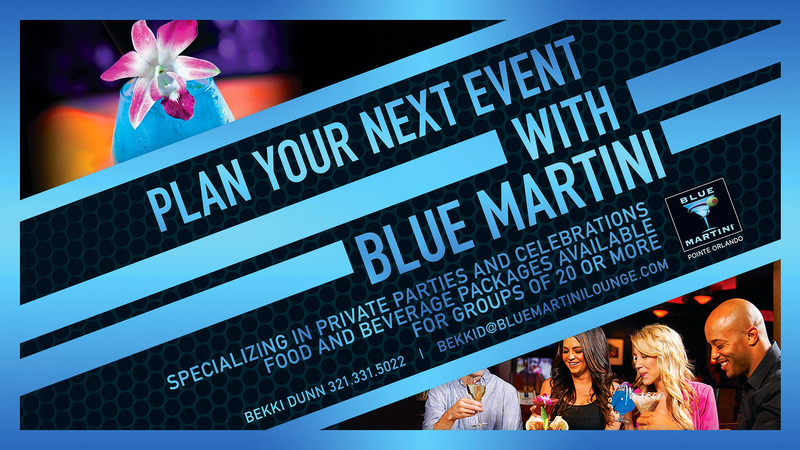 Blue Martini is trendy upscale lounge with a warm, welcoming environment that is designed to be enjoyable for all of our guests. 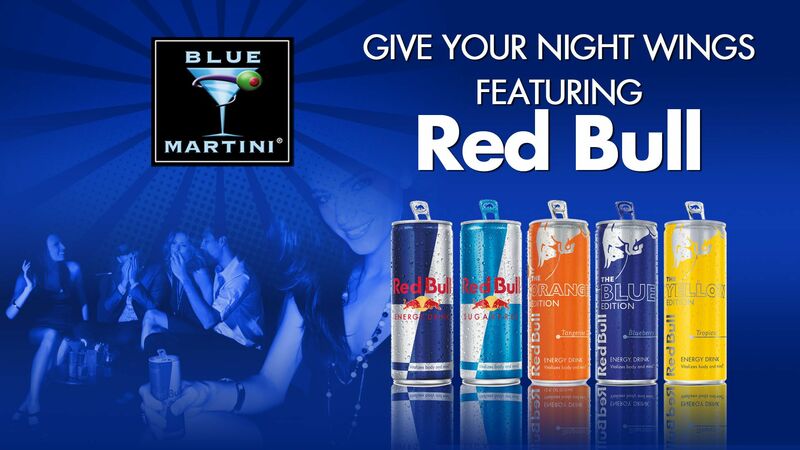 The 'nightlife' at Blue Martini is unsurpassed. 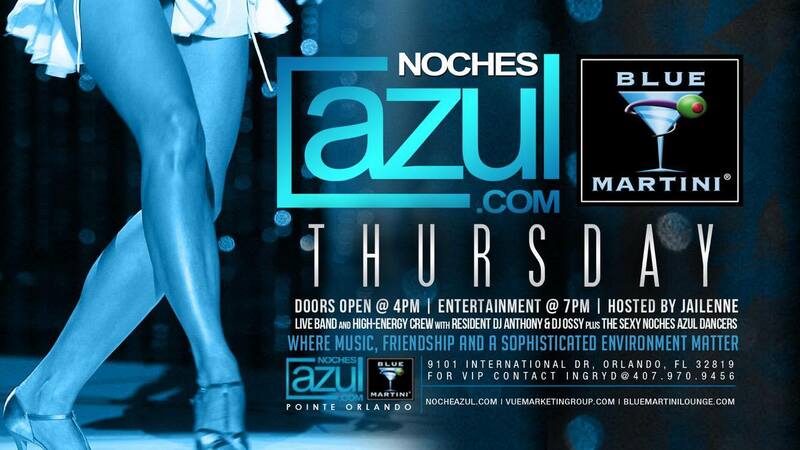 We feature the best in Live Entertainment nightly featuring local bands and DJ’s. 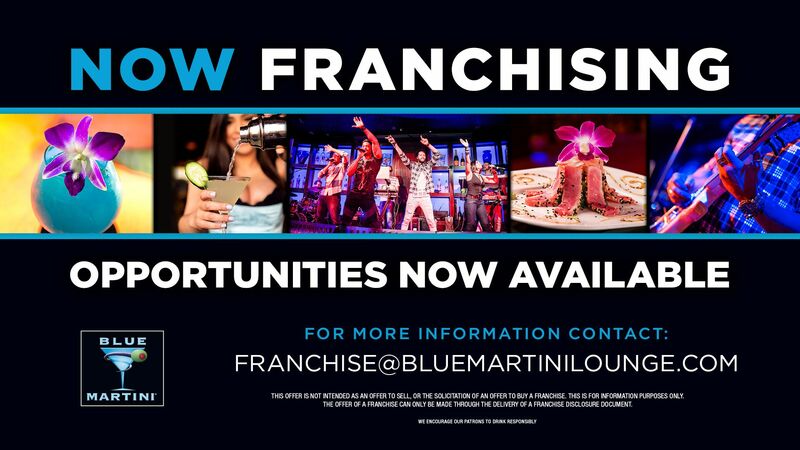 Blue Martini Pointe Orlando offers 3 different and unique bar experiences. 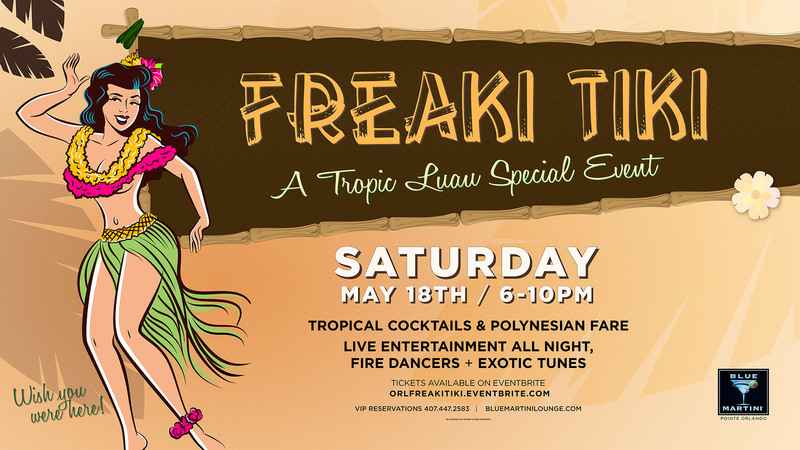 Go casual on the patio, be in the action at stage bar, enjoy the energy on the dance floor or go exclusive in our VIP lounge. 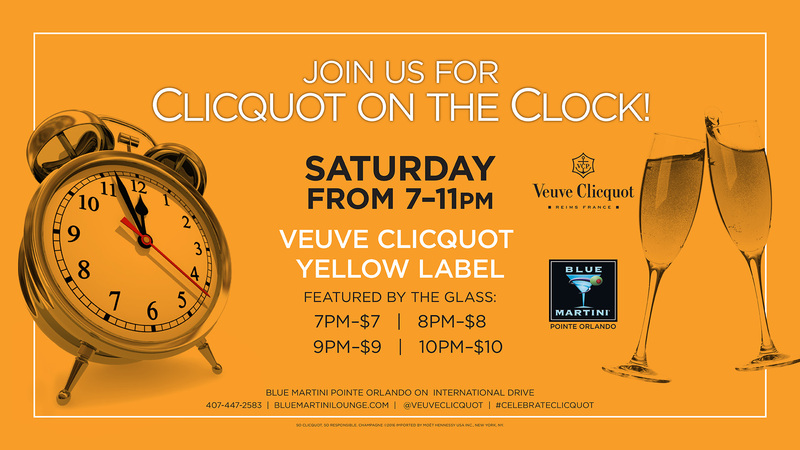 Join us for the best happy hour in Orlando. 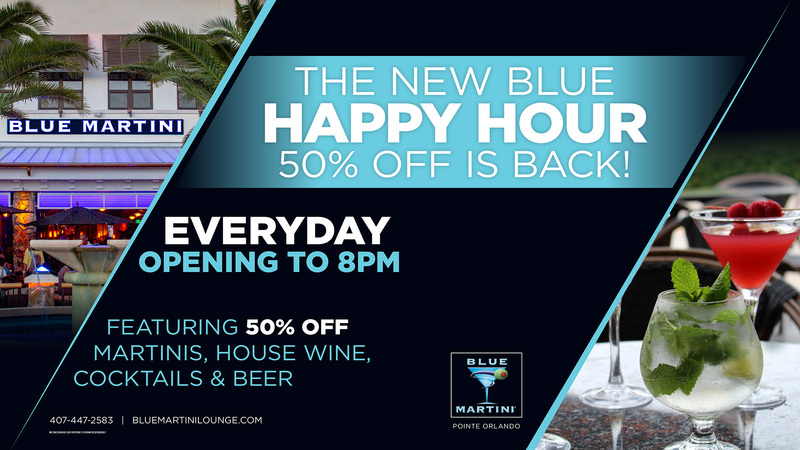 Blue Martini Happy Hour features discounted beverages and food Menu. Happy Hour is Every Day. Monday - Friday: 4pm-8pm, Saturday - Sunday: 3Pm-8pm. Discounted food menu (Happy Hour food pricing) with ITB Card. *Must have a wristband from hostess. 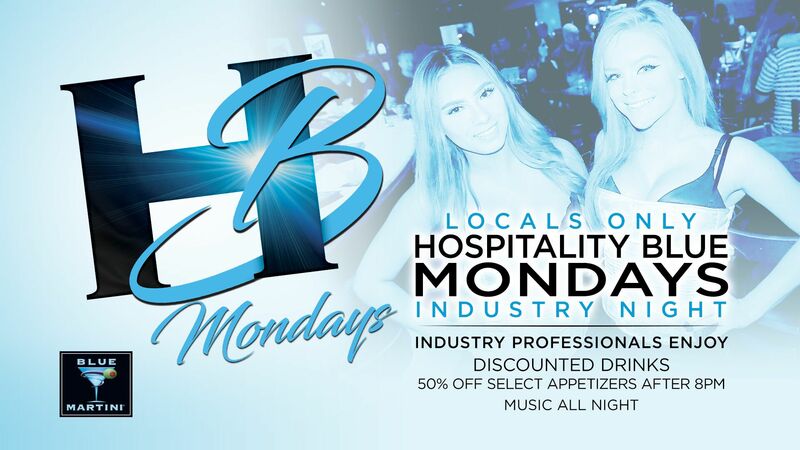 *ITB discounts are applied all day Monday and every day after 10pm. *it will begins after Happy Hour. 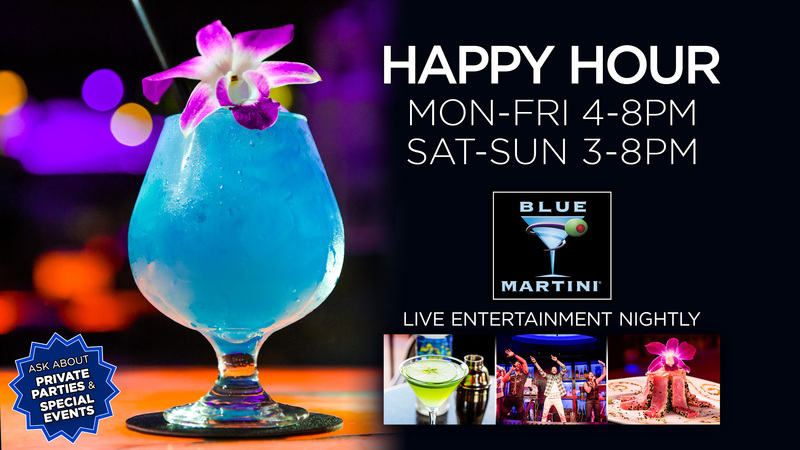 With live entertainment and events every night as Blue Martini, we bet you are sure to make an appearance in some of our photos. Check out the Snapped at Blue photo gallery to view exclusive images from Blue Martini.